We are now open in Leicester to take bookings for the new year, any treatments done before the end of the year qualify for an introductory discount (see image). 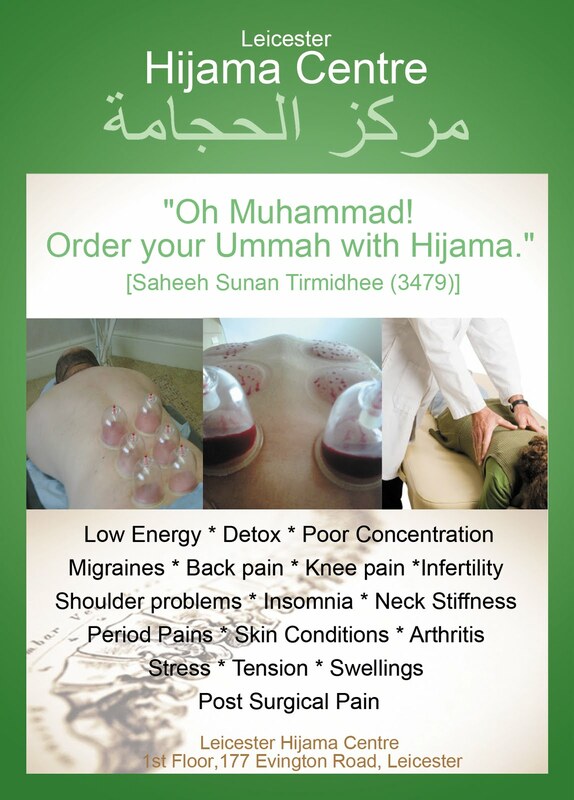 Some examples of conditions that may be possible to address with hijama therapy. *Medical assessments may be required before treatment in some cases, assessments are performed by a Qualified Chiropractic or Medical Doctor. 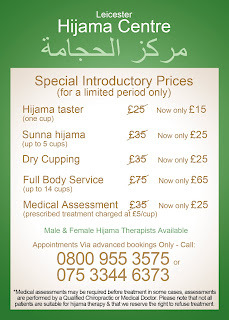 Please note that not all patients are suitable for hijama therapy & that we reserve the right to refuse treatment. 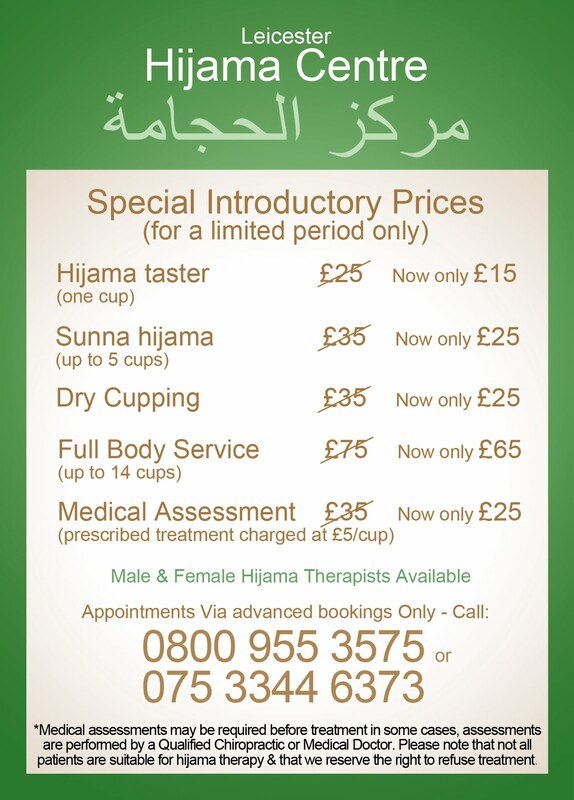 I’m interested in doing Humana cupping treatment. Just want to know the price for full body or price for neck shoulder upper back.